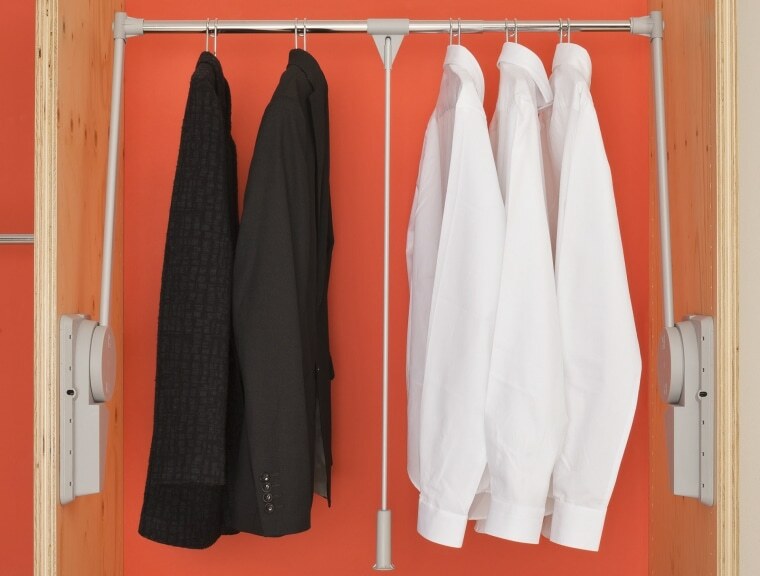 Ambos' wardrobe system will help you make the most of whatever wardrobe space you have. 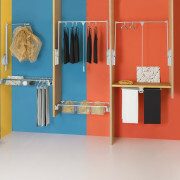 Your wardrobe is likely one of the spaces that doesn't get enough consideration when planning for storage – but it's crucial. Having adequate storage solutions can cut your getting ready time down, help you make the most of your belongings and reduce stress caused by the presence of clutter. 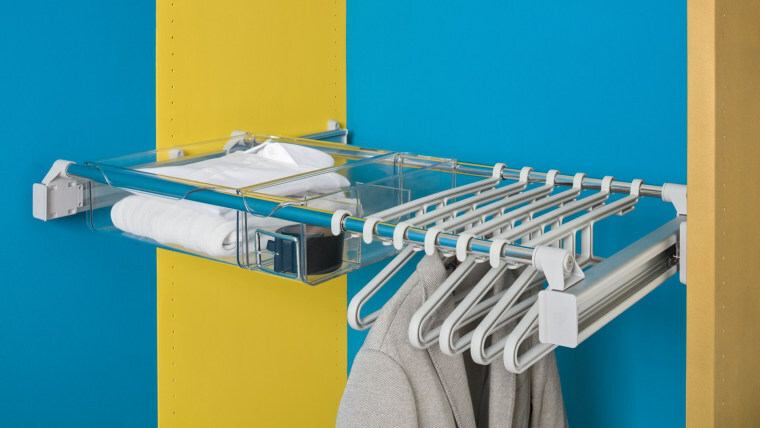 Fortunately, Ambos has a range of wardrobe lifts, pull out clothing and accessory storage units, pull out drawers, shelf brackets, rods and more to help you really make the most of whatever wardrobe space you have. This includes options for narrow spaces, as space is now at a premium for many of us. 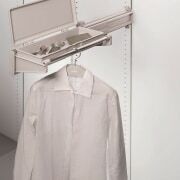 The Ambos wardrobe system is designed and made in Italy – meaning you can rely on its advanced European quality. As if that isn't enough assurance, Ambos has been established for over 40 years and supplies to over 40 countries worldwide. 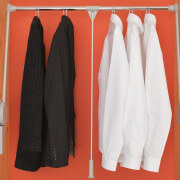 Use Ambos lifts in the upper parts of your wardrobe to maximise space. 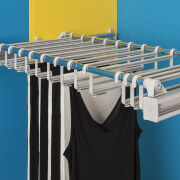 There are several Lift models available for varying weight loads. 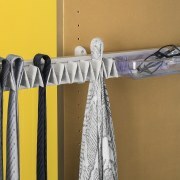 They're ideal to use in the upper parts of your wardrobe, so you can make use of space you may not otherwise be able to use – like putting out of season items not in use up higher. 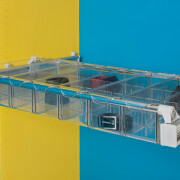 Ambos pull out drawers are clear, making it easy to identify what you’re looking for. 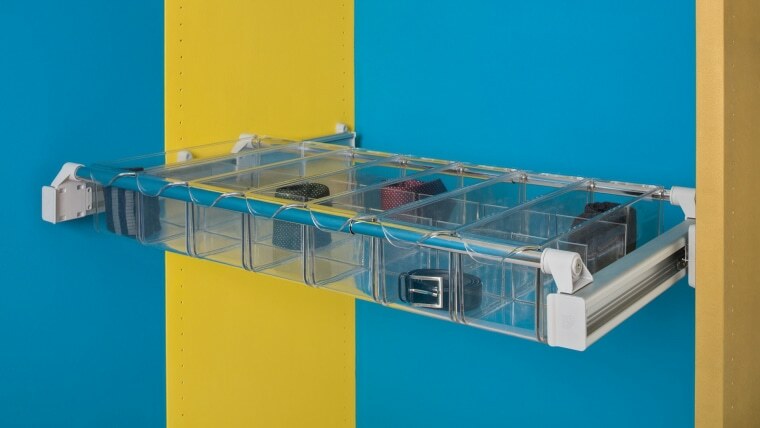 There's also the Pull Out Drawer System – a series of tough, transparent polycarbonate boxes in a variety of sizes that you can mix and match. The drawers are clear, making it easy to identify what you’re looking for – no more pulling out every drawer in the dresser until you find what you want! 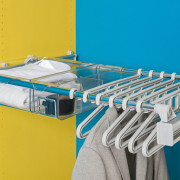 For more information on the Ambos wardrobe system and other innovative storage solutions, visit FIT.